Your bathroom is a place where you get ready for the day. Worn out, boring and uninviting fixtures in your bathroom might ruin your mood for the whole day. The common quote- “A good beginning makes a good end”, suitably suits this situation. And how can your day begin with a happy note? The elegant atmosphere, the serene beauty, the tranquility and peace in the bathroom, makes it an inviting place. And hence starts off your day with a good note. Talking of bathroom fixtures, vanity, taps, baths, mirrors, etc. these are some of the most important fixtures that make your bathroom both functional and stylish at the same time. So, choosing the most suitable accessory, that meets your needs and requirements, is really a necessity. There are many online stores that provide bathroom supplies, but you need to specify your requirements and with guidance and help all your problems will be resolved. If you require a Kudos shower or a Matki shower tray, you will find vast options online. The choice of the bathroom supplies should depend on: the size of your bathroom, the design of the equipment, the material used and your plumbing requirements. Selection of the proper source is also necessary. Fountain Direct is one of the best known and reliable sources that will meet all your requirements. It is the hub to purchase all the various top quality brands for such purposes. You may choose Duravit pottery, Duravit vanity units, Merlyn showers, Hansgrohe taps and many other bathroom fixtures here. Its classic range of products will not only enhance the atmosphere of your bathroom but also provide you with comfort and luxury. It will, no doubt, increase the functionality of your bathroom. Here, you will find authentic and quality designs at very affordable prices. While shopping with Fountain Direct, you can easily shop for different brands with one click. Other renowned brands of bath supplies that are available here are: Kohler, Crosswater, Majestic, Laufen, etc. Products available here feature quality and functionality that perfectly blends with the modern décor. But you must make sure to specify the size, design and color of the sanitaryware, as a little mismatch may destroy the decor of your bathroom. So, whether you are choosing Duravit toilets or Duravit vanities, make sure to run a wide research and then decide about the ideal selection to make. At Fountain Direct you will find wide range of showers, toilets, basins, shower trays, bath screens, cabinets and mirrors, cisterns, Stuart Turner and Salamander pumps, with taps and wastes. This online solution is the right way to make your bathroom an appealing place - that invites you and calms you in a tranquil environment. With the right fixtures installed, the overall look of your house would be more attractive. This entry was posted in Modern Bathrooms on 29th June 2017 by admin. A refreshing bath in the morning always charges us up for the challenges offered by the approaching day, while standing under the shower at the end of the day eases off our fatigue with immediate effect. Fountain Direct, offers a wide range of contemporarily designed bathroom accessories and showers to enhance our bathroom decor. Featuring an extensive collection of premium-quality shower enclosures and other similar bathroom accessories, this store includes all the best possible brands to assist you in choosing high quality accessories for your bathroom. With the widest range of sleek and stylish products offered here, you are sure to get the most luxurious bathroom that you had always dreamt of. Crosswater Showers, Simpsons Shower Enclosures, Matki Shower Enclosures and Merlyn Showers are a few selected brands, which are adored by customers of Fountain Direct. The Crosswater brand of bathroom accessories offers a wide range of best quality bathroom products like showers, shower enclosures and related accessories. The extensive range of brassware collection exhibits superior designing offered by the brand. It brilliantly blends contemporary designing sense and competitive pricing to form exceptional products. This Collection includes shower accessories like body jets, fixed heads, shower arms, shower valves, shower rails and handsets. Crosswater Digital shower is one of the most technologically advanced products that gives you complete control in your bathroom. This luxury item helps you to control the functioning of your shower panel through a number of options like, touch of a fingertip, wireless access via the App and even through remote control. Simpsons Shower Enclosures also enjoy huge popularity amongst its customers due to their elegant designing. Shower valves, multifunction shower kits, bath and basin accessories are the other products that are popular amongst admirers of Crosswater products. We offer customers a delightful collection of bathroom equipement whilst also assuring the very best quality. Our wide range of bathroom accessories and bathroom supplies include the best brands in the industry. Our two decades of expertise, and experience in satisfying the customers with products of their dreams has made us one of the most respected name in the industry. Fountaindirect promises to provide you with best products by ensuring best quality and technological features. This entry was posted in Showers on 29th June 2017 by admin. Nothing can match the refreshing experience offered by an early morning shower. A shower after a long day of tiring schedule also works wonders by easing off the fatigue and soothing our senses. In earlier times, natural waterfalls served the utility of a shower, which is now replaced by artificial units that grace our bathroom spaces. Other units like bathroom radiators have also become an integral part of our lives. They are being interestingly innovated and accompanied by other accessories to provide us with an incredible experience. Flaunting great reliability through their designs, electric showers, mixer showers, power showers, thermostatic showers, and even digital showers are now being popularly used. They can be accompanied by different heating accessories for a rejuvenating bathing experience. Grohe Showers enjoy a significant place in the world of bathroom accessories. Enriched with multiple features, thermostatic showers deliver a relaxing showering experience. Featuring an automatic control mechanism, these showers provide an assurance of blissful comfort through a clever digital diverter technology infused in their design. Some of these thermostatic showers include intelligent controls like intuitive LED’s that come designed with an option of remote control. Add an element of design to your bathroom décor by creating the ambience of an actual revitalizing zone through bathroom radiators. Equipped with world-class features, bathroom radiators combine amazing designs with superior technology to lend aesthetic beauty to your bathroom space. Thermostatic towel radiators have been introduced as an improved version of standard radiators in order to maintain a uniform room temperature during prolonged usage. Offering a wide range of accessories to enhance the appeal of your bathroom, Fountaindirect promises to deliver an unmatched experience of rejuvenating yourself with its supreme quality products. It enjoys a fine lineage of providing world class products and continues to earn great customer satisfaction. A one-stop shop for creating a complete ensemble, ranging from spa accessories, shower fittings, and other bathroom solutions, Fountaindirect undoubtedly wins hands down. This entry was posted in How To Guides on 29th June 2017 by admin. If you are planning to give a facelift to your home, don’t forget the bathroom—the ultimate haven for relaxing your body after those strenuous days. A bathroom can be your soothing space, your stress-buster, only if you have taken the care to choose the bathroom fixtures smartly. We recommend you to choose accessories that consume less space and are highly cost-efficient. This is a discussion about how shower enclosure accessories should be chosen and why buying from the premium range of Majestic products in this segment is a sensible decision. Give a clean and sleek look to your bathroom with design elements that include incomparable line-matched detailing. Frameless enclosures mean more aesthetics in the bathroom space and greater conservation of space that makes the bathroom look bigger. The designer majestic frameless shower enclosures are an epitome of sophistication, simplicity and loaded with high-end designs. This collection of bespoke looking trendy design shower enclosure provides a soothing and safer showering experience. Perfectly designed with a great deal of attention to finer details, this frameless designer shower enclosure ensures a flawless fitting. Explore the wide array of majestic still life showers, to get soothing and long lasting relaxation on your fatiguing working days. Your search for unique and stylish, timeless shower enclosures is over with this exotic collection of true value for money-based products by Majestic. Majestic Bathroom accessories with their incomparable design, durable nature, high strength, amazing styling and easy installation make your search trouble-free. These showers are a must-have in any contemporary bathroom. Making your bathroom your personal refuge where you can feel assured about a serene environment is not an easy task—there are too many options, many seem similar and those that are priced exorbitantly. The task much easier with elegant Majestic Shower Enclosures. Step into tranquility with the exotic bathroom fixture collection by Majestic Shower Enclosures—a line of shower enclosure products that that is leagues ahead of its humbler counterparts. Conveying sophistication and panache to the bathroom, this exotic collection of shower enclosures is timelessly elegant. Innovative, less space consuming and enhancing functionality, this collection of ultra-modern shower enclosures is a must-have in any present-day bathroom. Majestic Showers offers a wide array of premium quality frameless & bespoke shower enclosures. Products by Majestic provide a huge variety of contemporary bath screens and wet room panels to choose from, the Majestic range is designed with premium quality material and beautifully designed. Why Majestic Bathroom Supplies and Accessories? Fountain direct is a one-stop online destination offering Majestic Shower Enclosure; renowned brand name for bathroom fixtures and fitting accessories. This exquisite online store offers timeless and elegant; contemporary shower enclosures. Designed to perfection with a special attention to details, this range of shower enclosures ensures a seamless fitting. Impey, a wetroom specialist is the leading manufacturer in UK that provides luxury and high in quality wetroom products. A pioneer in wetroom technology, Impey has been launched the first wetroom floor former with in-built gradient feature that dominates in the market of healthcare as a level-access floor. Also, in the retail market, it comes up as a luxury wetroom. 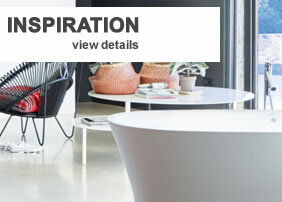 Innovative designed by the skilled professionals, these high quality products are very much in demand as they are often used in the property; residential; education; leisure; health and care sectors. The team of Impey has been closely worked with contractors and installers; architects and specifiers; local authorities and healthcare professionals to deliver innovative top quality wetroom solutions for all end users. In fact, at this place, the dedicated and efficient team members provide training, suggestions and after sales service for all sorts of wetroom adaptions. The company is bounded to provide wet room showering solutions to the consumers who experience mobility difficulties. They offer a wide range of products that includes walk-in wetroom shower floors for vinyl floor coverings, low access shower trays, shower doors, support rails, shower seats and more. If you are worried about how to install a wet room, then, do not go anywhere, as the company provides a dedicated technical help team to answer any queries you may have in installing. In fact, you can go through the available selection of wet room installation videos that defines precisely how to install a wetroom and confirm that all waterproofing is applied in an appropriate manner. In case, you have any urgent query, then, you can directly call the wet room technical team without any hassle. Bathing showers are the focal point which makes your washrooms look modish. To enhance the look of your washrooms, choosing showers with invincible features, stylish designs, well-incorporated technology and ease in installing is utmost. According to your choice of style and requirements, let us brush up your knowledge about various kinds of showers that makes the choice easier. Technologically advanced and innovative, the digital shower use a processor box for that mixes cold and hot water to the temperature desired thermostatically. These showers can be installed without drilling the walls or tiles of the bathroom as processor box can be hidden in the shower itself. Pioneered with Bluetooth and wireless technologies, the digital showers give you convenience of operating control up to around 10 meters away. Electric showers Energy efficient, the electric showers heat the water as and when needed. The shower automatically controls the temperature. The power of electric shower is between 8.5kW and 10.8kW generally- the higher the value, the better it is. These showers even work efficiently if boiler breaks. Water efficient and great water flow is the distinct features of this type of showers. Mixer shower As the name suggests, the mixer shower mixer combines hot and cold water. They are designed for high and low pressure systems. The thermostatic versions regulate the water temperature efficiently. High flow rate and prevention from scalding are some of the prominent features of shower mixers. These premium shower mixers give ready – heated water to have an exhilarating showering experience. Power showers Power showers work in almost matching way as shower mixers or mixer showers. They combine cold and hot water. The difference lays that power showers have a pump inside to regulate and control water flow and temperature. These technologically advanced showers are designed to impart an invigorating showering experience by boosting the water-flow. Installing variety of remarkable bathroom essentials in your bathroom enhances the look of the bathroom but yes if you are investing on remarkable bathroom installation why not go for global brands like Vado, Crosswater, Hansgrohe, Matki, Lefroy Brooks. These brands provide you quality assured installation with an assurance of transparent pricing and great performance. Gone are the days when bathrooms were neglected when it came to remodelling the house. Talking about the present times, people pay equal emphasis on their bathroom interiors as they do to any other part of the house. 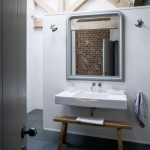 Nowadays, the out dated bathroom fittings are replaced by functional-yet aesthetically appealing bathroom fixtures. Styling your bathroom with first rate bathroom fixtures not only adds function and style to the bathroom area but also provides a trouble-free experience. So, it is not surprising that leading brands like Kudos are offering accessories that are high on the style quotient along with functionality. The artistically styled shower products from Kudos let you take the décor of the bathroom a notch higher. Installing high quality yet impressive shower enclosures in the bathroom create a tranquil atmosphere with their visually-subtle exteriors. They let you to wash down all your troubles in cascading water and relax. Having a stylishly constructed shower enclosure not only enhances the overall aesthetic appeal but will help you in keeping the washroom floor dry and free from water puddles. Brands like Kudos offer a range of shower enclosures that are capable of providing a spa-like experience at home. The effectiveness of showers can be effortlessly increased with shower trays. Apart from minimising water leakage, the shower trays do not let the water to splash out. The installation is done a few inches higher than the floor of the bathroom. Available in variety of shapes and sizes, you get the freedom to choose the shower trays according to the needs of the bathroom. Many shower trays come with anti-slip coating for added convenience. Shower doors are an easy solution to enjoy an amazing shower experience without messing up the bathroom. It helps in keeping the bathroom clean. These days shower doors are made from toughened glass to ensure that there is no risk of splashing. The doors are accompanied with roller bearings for quiet and smooth opening and closing action. Nowadays, shower doors are offered in different finishes to complement your existing bathroom decor. Where To Buy Premium Shower Enclosures, Doors and Trays? These days you can easily obtain showering accessories and bathroom essentials from world renowned brands from the convenience of your home by ordering online. To enhance your showering experience Fountaindirect.co.uk brings to you first-rate bathware. Fountain Direct’s inventory includes hard-wearing showering products from reputed brands like Kudos. The Kudos Shower Enclosures, Doors and Shower Trays are backed with an industry-best lifetime guarantee to impart a trouble-free experience. This entry was posted in Modern Bathrooms on 3rd May 2017 by admin.